It’s no news that Christianity is one of the three biggest, currently existing monotheistic religions of the world, along with Islamism and Judaism. That it’s two millenniums old, as you may already know. You have probably heard that Christianity has the most adepts too, thus rendering the majority of Earth’s inhabitants as either Orthodox, Catholic, or Protestant. You might also know some things about the world’s most spectacular Churches and Cathedrals. But do you know anything about the tallest Crosses? I will gladly present them to you in the following article, believing that you won’t be taken by surprise when you spot one from a distance: instead, you will know what it’s all about. Let’s do a little test: how many meters do you think the tallest Cross is? Don’t be afraid to think of a number, but be sure to add a few feet to your initial thought. Can you imagine how tall it is now? Can you find an element of comparison? 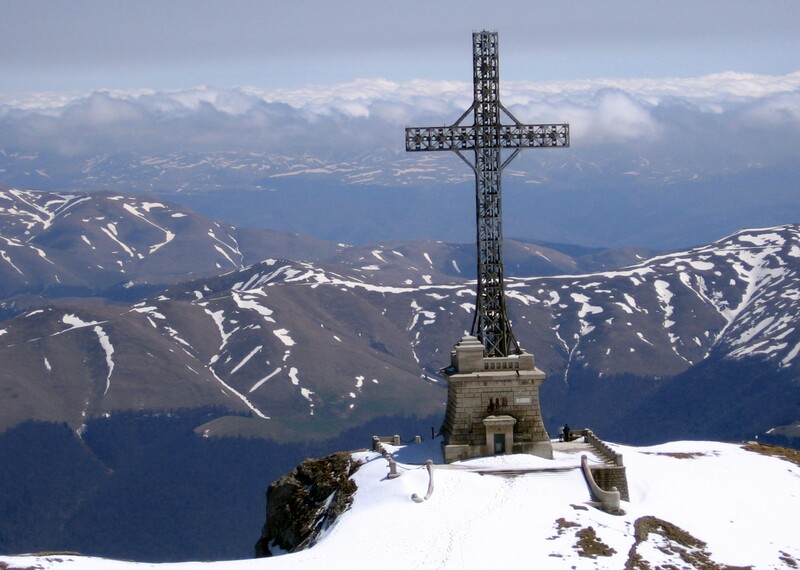 Here is the correct answer: The Cross from the Valley of the Fallen (Valle de los Caídos, in Spanish) is the tallest cross in the world: 500 feet (150 meters). And this is without taking into account the height of the granite ridge on which it was erected, which has the same height too 1)”Santa Cruz del Valle de los Caidos” – guide published by Editorial Patrimonio Nacional2)”Spain During World War II” written by Wayne H. Bowen, published by University of Missouri in 20063)”The Immigrant’s Universe” written by Humphrey Humberto Pachecker, published by Xlibris in 2010. Pause for a moment to picture a cross as big as a sky-scraper built in an open space! It is so big, that it can be seen from over 30 kilometres away 4)”The Immigrant’s Universe” Humphrey Humberto Pachecker, published by Xlibris in 2010. 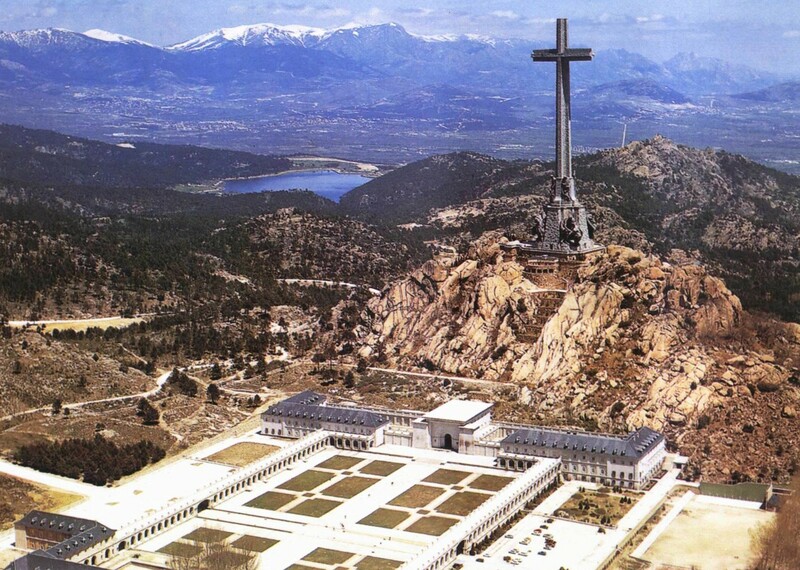 There is also a huge Basilica dug inside the granite ridge on which the Cross stands. The whole construction was built by the orders of Francisco Franco, the general who ruled Spain from 1939 to 1975. He came to power after a civil war against the Republicans. On the 1st of April 1940, he issued a decree that a monument be built in the memory of those that have fallen in the bloody conflict. He was also the one to choose the building place for the huge project: the Cuelgamuros Valley at the foothills of the Gudarrama Mountains. Not without reason, Valle de los Caídos stands at less than 10 kilometers away from El Escorial, another important edifice for the history of Spain. This Monastery was built by Felipe II to commemorate the Spanish victory against the men of Henry II, king of France, in 1557. Franco wanted The Valley of the Fallen to be the symbol of his new regime the same way that El Escorial symbolized the golden age of the Habsburg dynasty 5)”Royal Tourism: Excursions around Monarchy” by Phil Long şi Nicola J. Palmer, published by Channel View Publications in 2008. The complex was initially thought to be a monument built in the memory of the nationalists that had lost their lives in the Spanish civil war. After 1950, however, it was said to be built for the republicans that lost their lives in the same context as well 6)”Royal Tourism: Excursions around Monarchy” by Phil Long and Nicola J. Palmer, book published by Channel View Publications in 2008. Quite obviously, such huge construction couldn’t be ready in just a few days. Almost 18 years were needed for the building to look the way it does today. It was inaugurated on the 1st of April 1959 and the cost totaled 1159 billion pesetas. You probably wonder how were they able to fund it. The national lottery contributed mostly, but they also had donations. Political prisoners also helped build the monument 7)”Royal Tourism: Excursions around Monarchy” by Phil Long and Nicola J. Palmer, book published by Channel View Publications in 2008. And this is how the Spanish ended up with an amazing cross! Dambana ng Kagitingan (Shrine of Valor) is a monumental construction, dedicated to the fallen Filipino and American soldiers who fought here during the Second World War. But it’s not a monument of victory, as one would expect. The 78,000 glorified soldiers surrendered to the Japanese on April 9, 1942, when the Battle of Bataan came to an end. This is the largest surrender of both Filipino and American soldiers. Then why did the Filipino people build such an impressive construction in the memory of it?! Because, it is an expression of gratitude for those who fought for three months, day after day, and only fell due to the lack of provisions, and because they were outnumbered. But their sacrifice was not in vain. They considerably spoiled the Japanese invasion of the Pacific region. 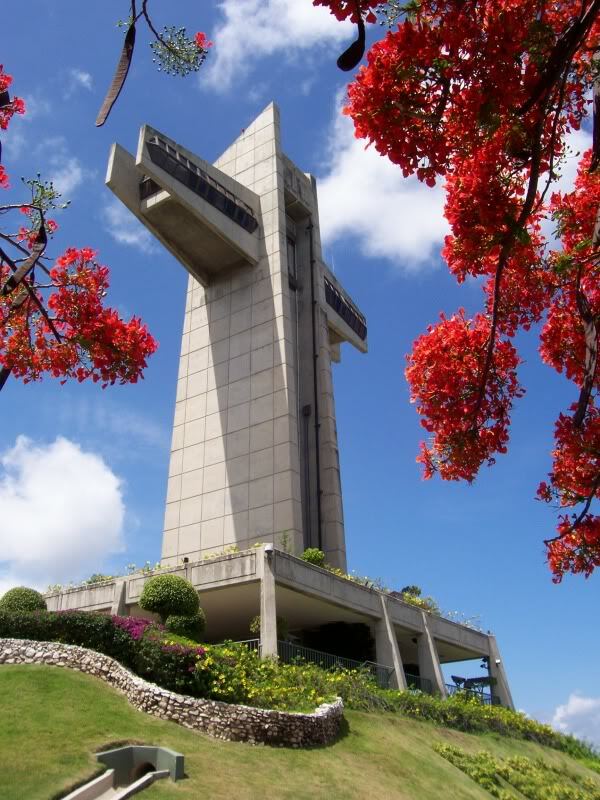 The mausoleum is built on Mount Samat, at a height of 555 m. Right on its summit stands a giant cross, the second largest cross in the world, and the largest one in Asia. It stands 95 m in height (311 feet) and spans 30 m 8)”The Bataan Death March: World War II Prisoners in the Pacific” by Robert Greenberger, book published by Compass Point Books in 2009. 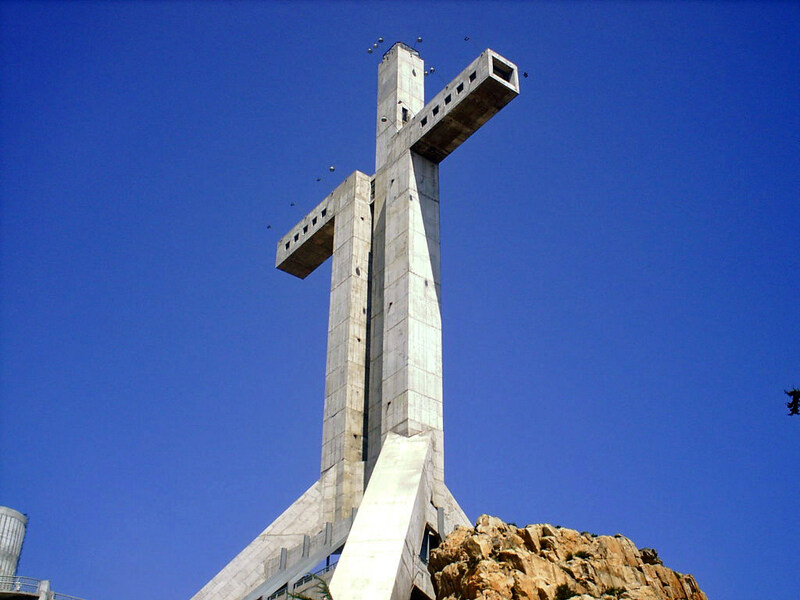 Cruz del Tercer Milenio is the world’s third tallest cross, measuring 87 meters in height. With its arm-span, it is the widest: 40 meters! This giant can be found at the top of El Vigía hill from Coquimbo, Chile. The hill rises at about 197 meters above the sea level, the cross thus adding another half to the initial height. The building started in 1999 and ended in 2001, marking the transition into the third millennium. The result is the tallest monument in South America. 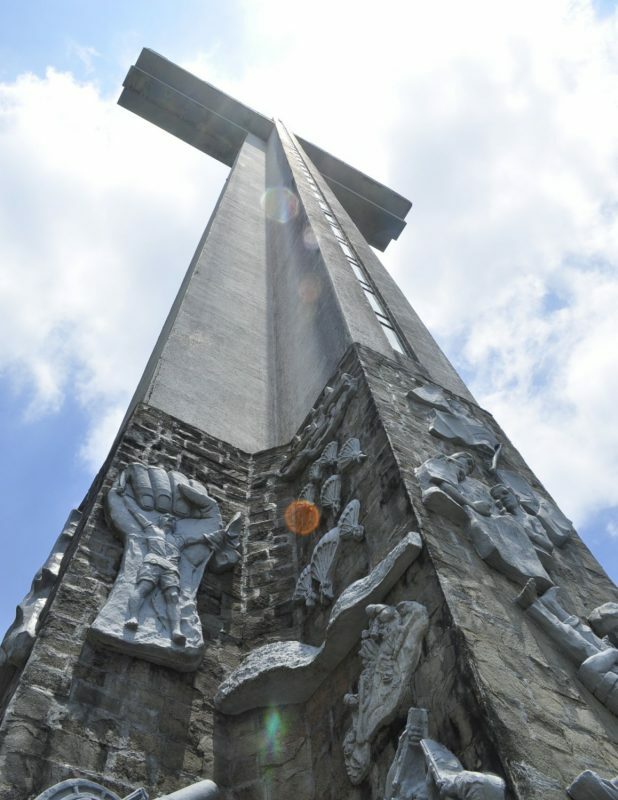 The Cross of All Nations is a monumental construction measuring 242 feet in height (73.8 meters). Made of 170 tons of steel and being lit by 1800 spotlights, one can admire the biggest illuminated cross in the world at night! The height is not without reason either. It represents the 10th part of the Golgotha, the tall hill where Jesus was crucified. 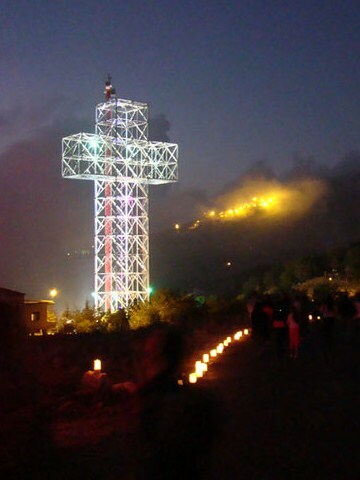 The Cross of All Nations was inaugurated in September 2010, in the Lebanese locality Qanat Bakish, close to a Maronite Church dating back to 1898, who collaborated with the Catholic organization Association Terre de Dieu. The 1.5 million dollars were raised from donations. Measuring 66 meters in height 9)”Europe on a Shoestring” – guide published by Lonely Planet in 2013, The Millennium Cross (Mileniumski krst) is the fifth tallest in the world. After some measurements that also take into account the steel body on which it stands, it has even bigger: 75-77 meters 10)”Macedonia” de Thammy Evans, book published by Bradt Travel Guides in 201211)”Religion and Politics in Post-Socialist Central and Southeastern Europe: Challenges since 1989” by Sabrina P. Ramet, published by Palgrave Macmillan in 2014. Due to its massive size, you’ll surely not miss it if you are passing by or through Skopje, the capital of Macedonia. You can’t miss it at night either, as it is illuminated. The Millennium Cross is situated on top of the Vodno Mountain, measuring 1066 meters in height 12)”Vodno” in Wikipedia. It can be visited, so that if you want to, you can take some beautiful pictures of the upper area of Skopje. You can reach the Millennium Cross on foot or through the cable car 13)”Macedonia” by Thammy Evans, book published by Bradt Travel Guides in 201214)”Republic of Macedonia Travel Guide” – guide published by Tiki Travel. You can also use the elevator inside the Cross to reach the top of it. It was inaugurated on 8 September 2008, the independence day of the Republic of Macedonia. If you are one of those tourists that likes to wander about in a foreign city at night, in Skopje you’ll surely not get lost. All you have to do is look for the Cross. It can be seen from every part of the city and it is placed in the direction of the South 15)”Macedonia” by Thammy Evans, book published by Bradt Travel Guides in 2012. It is interesting to note that one of the biggest crosses was built in a country where a certain portion of the citizens are not even Christians. Two thirds are Orthodox Christians while the other third are Muslims. Built in 2002, immediately after the conflict from 2001 between the Christian ethnic Macedonians and the Muslim ethnic Albanians, the Millennium Cross hasn’t been well received by the minority. They took it as a sign of “self-advertising”, as if they were told that “Our religion still remains the best!” The construction was funded by the Government, the Macedonian Orthodox Church, and by the Macedonians from all over the world that chose to donate. In sixth place, we have a monument from the American continent. The Great Cross is 208 feet in height (63.4 meters) 16)”Spiritual Florida: A Guide to Retreat Centers and Religious Sites in Florida and Nearby” by Mauricio Herreros, book published by Pineapple Press in 2005. What differentiates it from other crosses is the slimness that makes it look even taller. It is 70 tones and it is made of 200 stainless steel panels of different sizes. Up to the height of 65 feet (20 meters) the steel panels were filled with concrete to withstand the strong winds of the region. The basis has granite tiles. The Great Cross was erected in 1966 by the Bishop of the Diocese of St. Augustine and by the Archbishop of Madrid to celebrate the place of the first Catholic Mass on the American continent. Interesting, right? In 1565 the Spanish admiral Pedro Menendez de Aviles set foot here for the first time. He is the one who named the region Florida, meaning the Land of the Flowers, and also built the city known today as St. Augustine 17)”St. Augustine, Florida” in Wikipedia, the oldest and continuously populated locality from the continental part of the United States. As he was determined to convert these places to the Catholic rite, he stuck a wooden cross into the ground to remind everyone of his purpose. The Great Cross of St. Augustine symbolizes today the beginning of Christianity on the American Continent 18)”St. Augustine” by Shane Mountjoy, book published by Chelsea House Pub in 2007. The seventh tallest Cross of the world is also found in the USA. It is 198 feet in height (60.35 meters). 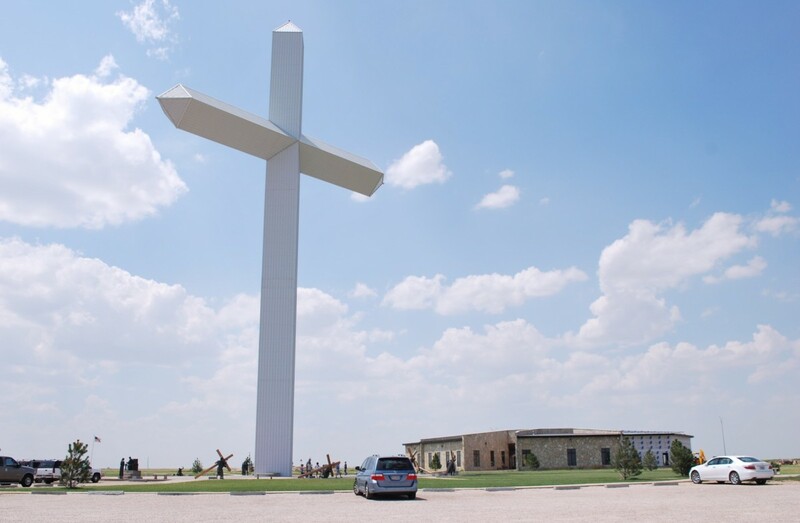 Many claim that it is the biggest Cross from the North-American continent when also taking into account the width: 113 feet (34 meters) 19)”Oddball Illinois: A Guide to 450 Really Strange Places” by Jerome Pohlen, book published by Chicago Review Press in 2012. The Cross stands at the intersection of two major Interstate highways: 57 and 70. 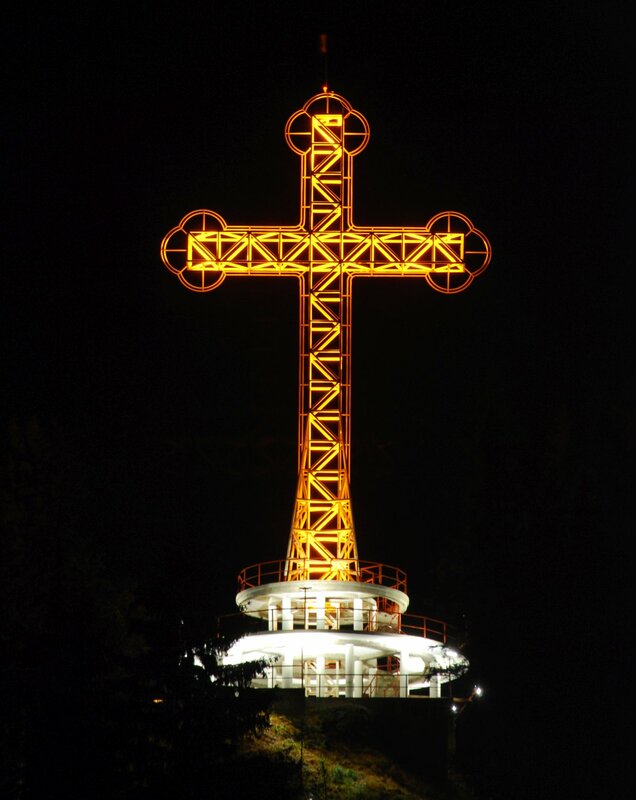 Over 50,000 cars pass by it daily, though the Cross, being illuminated, can be seen at night as well. It was built by an NGO named The Cross Foundation, the total cost being of about 1 million dollars. This huge construction was finished in 2001, after 5 years of work. It is made of over 180 tons of steel stuck together with concrete, all on a base of 33 tons, in order to withstand the strong winds of the region 20)”Illinois Curiosities: Quirky Characters, Roadside Oddities & Other Offbeat Stuff” by Richard Moreno, book published by Globe Pequot Press in 2011. Similar to that from Effingham, but built earlier, the Cross of Our Lord Jesus Christ from Groom is only a tad smaller. It is 190 feet in height (50 meters) and the arms are 110 feet wide (33 meters) 21)”Weird U.S. The ODDyssey Continues: Your Travel Guide to America’s Local Legends and Best Kept Secrets” by Mark Sceurman, Mark Moran and Matt Lake, book published by Sterling in 2008. It’s story is, however, more surprising. Those who drove on Interstate 40 could see all kinds of billboards. Some of them were so lewd that it made one cross oneself. This is the exact same thing that crossed (pun intended) Steve Thomas’ mind, a very religious man from a nearby locality. His exasperation was so big that his cross became a reality: a 75 ton giant! This huge cross is his personal property; it’s unlikely to see a monument of this size as personal property in another country. 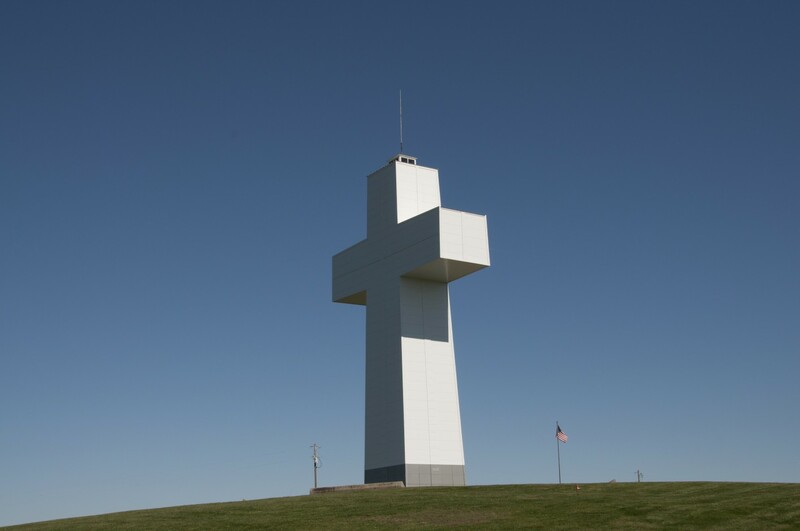 The Cross was built in 1955 from aluminum, coated with corrugated steel. 250 men worked to build it in 8 months. Life-size bronze statues were placed close to the Cross to symbolize both the 13 stations of the Cross and the passions of the Christ, as he was crucified between the two thieves. The huge Cross can be seen from 10 miles away. It is illuminated at night so that no one cannot miss it 22)”Weird U.S. The ODDyssey Continues: Your Travel Guide to America’s Local Legends and Best Kept Secrets” by Mark Sceurman, Mark Moran and Matt Lake, book published by Sterling in 2008. 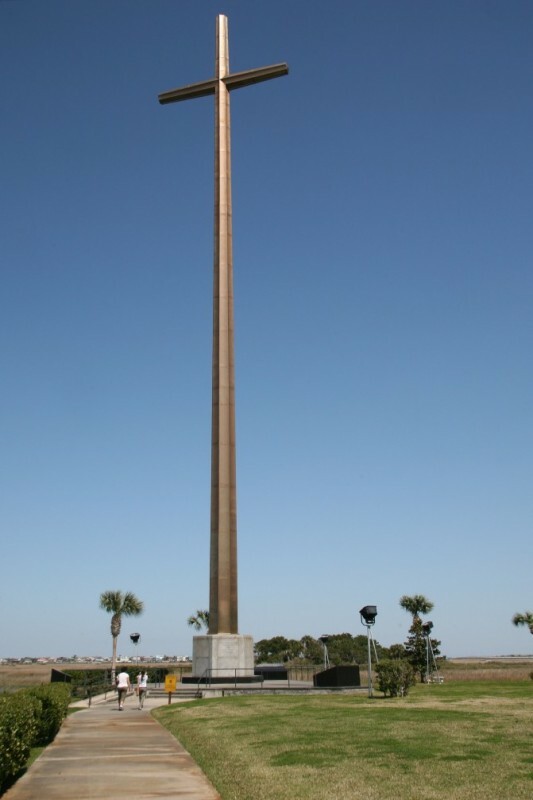 Built in 2009 by the Houston Sagemont Chruch, it measures 170 feet in height (51 meters). It is seen as a symbol of the spirituality of the place and a way through which the non-believers or the ones who are uncertain about it can be attracted to God. You might be wondering: The Mount of Olives in Austria?! It is just a Biblical reference. When people have enough faith, they can turn even the most whimsical ideas into reality, just like they did with this Cross named Pilgerkreuz am Veitscher Ölberg. It is 40.6 meters in height and has an arm-span of 32.2 meters. It is both the biggest wooden cross and the biggest pilgrimage cross in the world 23)”Good Night and God Bless: A Guide to Convent & Monastery Accommodation in Europe: Austria, Czech Republic, Italy” by Trish Clark, book published by Hidden Spring in 2009. 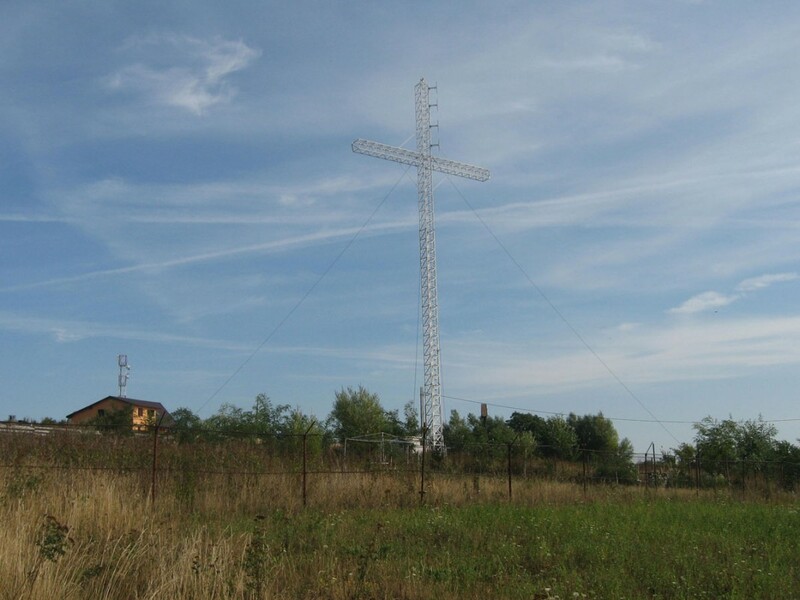 The Trinitas Cross is actually a cross-shaped antenna on a radio station, which belongs to the Romanian Patriarchate. The 40 meter antenna is located in a village near Bârnova from Iași county. The Cross is illuminated at night and thus, visible from a great distance. This monumental Cross has been mentioned by the Guinness World Records as the tallest Cross situated on a mountain top. It measures 39.5 meters when also taking into account the 8 meter high stone pedestal on which it stands 24)”Tallest summit cross” in Guinness World Records. Also called the Caraiman Cross, it was built between 1926 to 1928 in memory of the heroes who died on duty in World War I. The Caraiman peak, with an elevation of 2291 meters, belongs to Bucegi Mountains from the Southern Carpathians. The Romanian People’s Salvation cross is a metallic monumental cross. It is dedicated to the Romanian people and it was built through donations, having a height of 35 meters. It seems that the people from Illinois have a special kind of attraction towards huge crosses. The Cross of Peace from the Bald Knob peak is among them. The structure is 111 feet tall (33 meters), and the arms extend 63 feet horizontally (19 meters). When it was erected in 1963, it was thought to be the tallest Christian monument from North America. It is made of concrete, and the exterior has metallic panels covered with white porcelain. Every Easter, an outdoor service is held and Christ’s Passions are retraced 25)”Oddball Illinois: A Guide to 450 Really Strange Places” by Jerome Pohlen, book published by Chicago Review Press in 2012. Technically speaking, The Davidson Mountain is a hill. 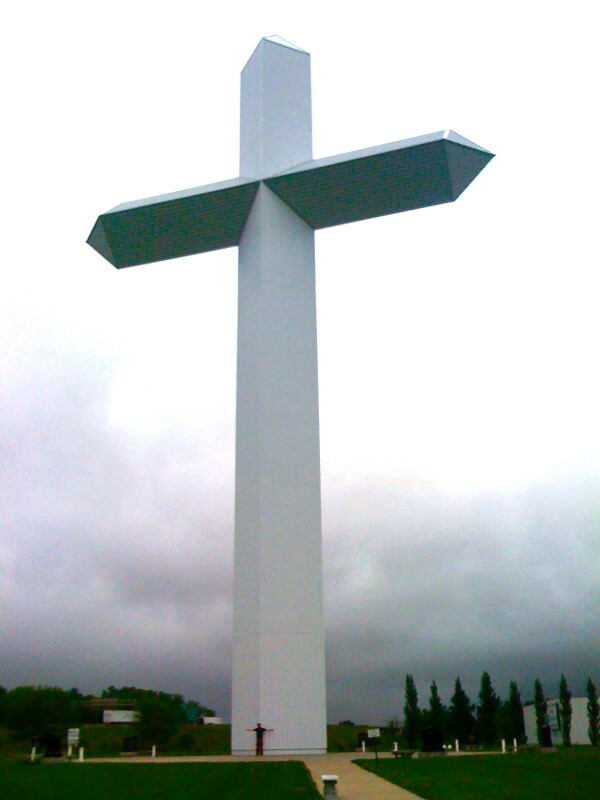 Being the tallest in the region, however, the idea that a Cross would sit pretty nicely on top of it started to take shape at the beginning of the 20th century. In 1923 numerous wooden crosses were built, but they didn’t last too long. The actual Cross was built in 1934. According to the plan, it should have been exactly 100 feet (40 meters). When it was close to being finished, the builders saw that there was more concrete left and instead of throwing it away, they thought, why not make the cross a bit taller? 26)”Don’t Call It Frisco” by Herb Caen, book published by Doubleday in 1953. This is how a 103 foot (31 meters) Cross was realized 27)”Historic Spots in California” by Mildred B. Hoover, Hero & Ethel Rensch, book published by Stanford University Press in 1967. A week before Easter, President Franklin Roosevelt officiated via telegraph that the lights of the Cross should be lit. 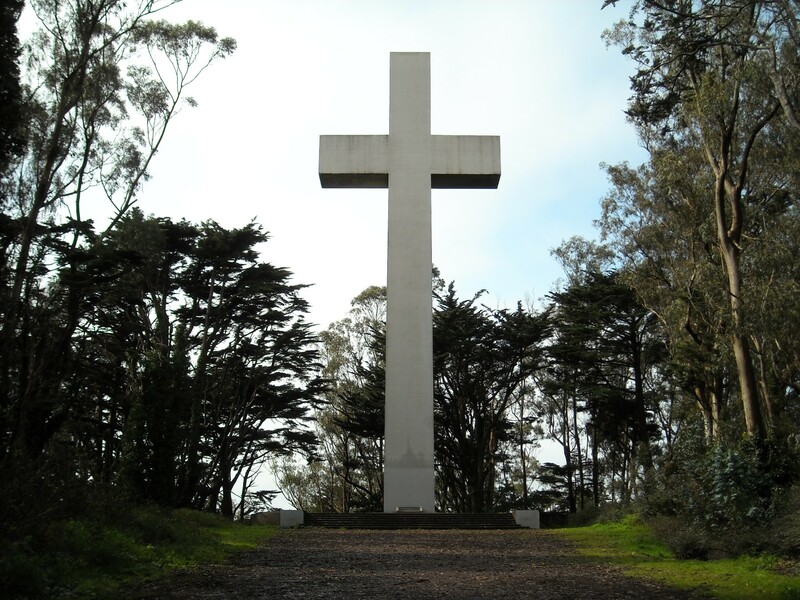 In present days, The Mount Davidson Cross is illuminated on Christmas and Easter. During the Easter Sunday, sermons are held outdoors at the break of dawn, right next to the Cross. The Cross was bought by the The Council of Armenian American Organizations of Northern California for 26,000 dollars. A bronze plaque was then put at the base memorializing the victims of the 1915 Armenian genocide. The Cross also appears in the movie “Dirty Harry”, directed by Don Siegel in 1971, if you’ve seen it. Cruceta del Vigía is, in fact, one big cross-shaped apartment-building. 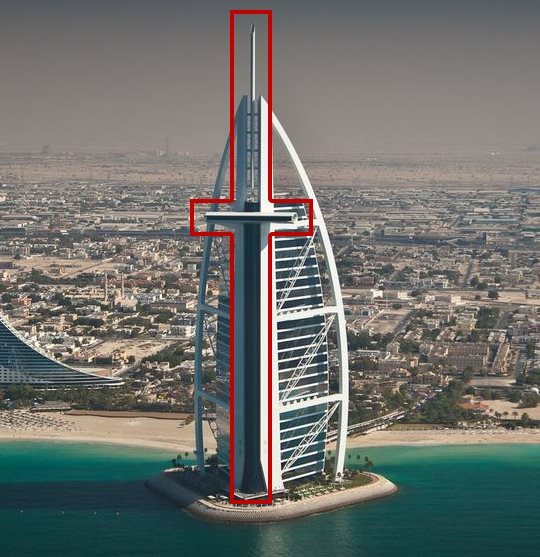 The special building has a height of 100 feet (30 meters), and the arms extend 70 feet (21 meters), giving an amazing view of the area. Some Christians, driven by faith, build wood or stone crosses garnished with all kinds of paintings, sculptures, and etc. for the glory of God. This is the same thing Jim and Doris Studer, owners of a fertilizer factory, thought about making. 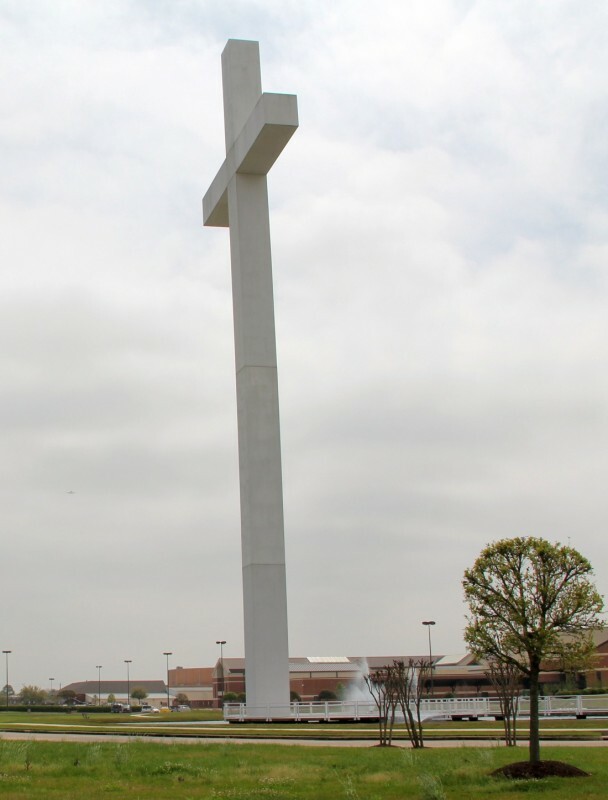 Being from Texas, however, they also thought about adding a touch of the local style to the Cross: and make it big. Of about 40 feet. After they barely escaped from a nearly deadly situation, Jim thought that God deserved another 60 feet. 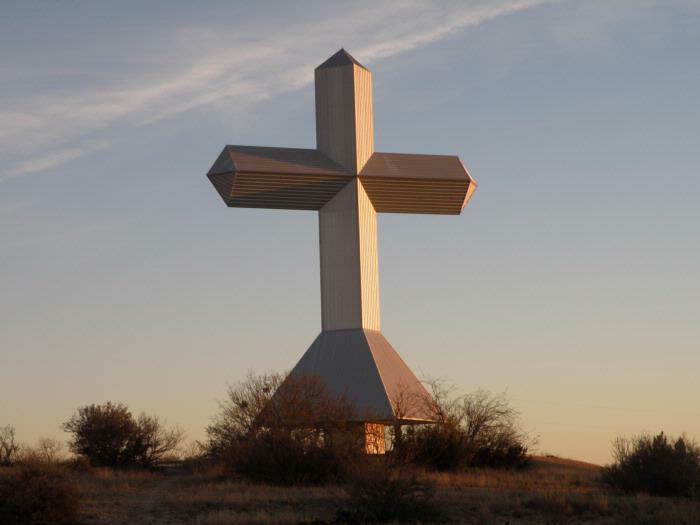 This is how this huge Cross appeared in 1993, 100 feet tall (30 meters) 28)”Day trips: Texas tours, maps & photos” by Gerald E. McLeod, book published by Austin Chronicle Corp in 1995. Fort Jefferson Memorial Cross is 95 feet high (29 meters) 29)”Mississippi River: Historic Sites and Interesting Places” by Jerry M. Hay, book published by Inland Waterways in 2014. It was built near the confluence of the Ohio and Mississippi rivers. 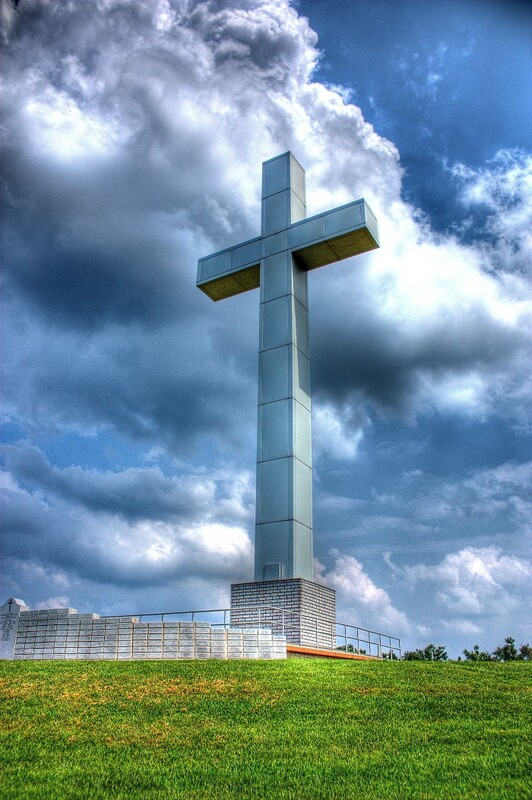 In 1992, money started being donated for this Cross that was to be seen from the states of Kentucky, Missouri, and Illinois both at day and at night. The construction was finished in 1999. Every Easter here a service is held at sunrise, along with weddings and commemoration services all throughout the year. In Transylvania, in the mountain village of Piatra Fântânele, there is a nun monastery. In 2010, a huge Orthodox cross was sanctified there. If we consider only the cross itself, it has 25 m in height. 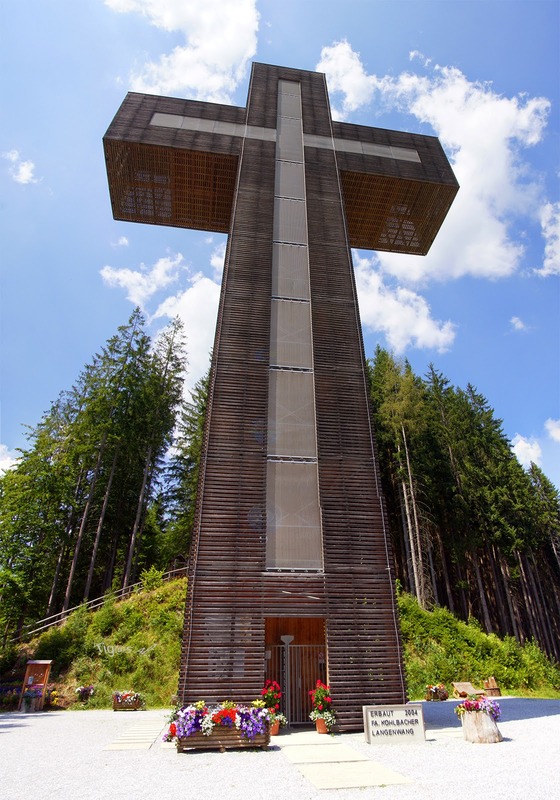 But the cross is situated on a 2-story platform, which – according to some – would add 6 m to its height 30)”Crucea de la Manastirea Piatra Fântânele, loc de pelerinaj în prima zi din noul an” by Cristiana Sabau, article published in TimpOnline on January 1, 2014. The cross has a modern lighting system incorporated. And, because it is located at a height of 1,200 m, in Tihuţa Pass, it is visible from a great distance, even at nighttime. It is a major attraction for tourists, most of them spending the night at Hotel Dracula in the village. 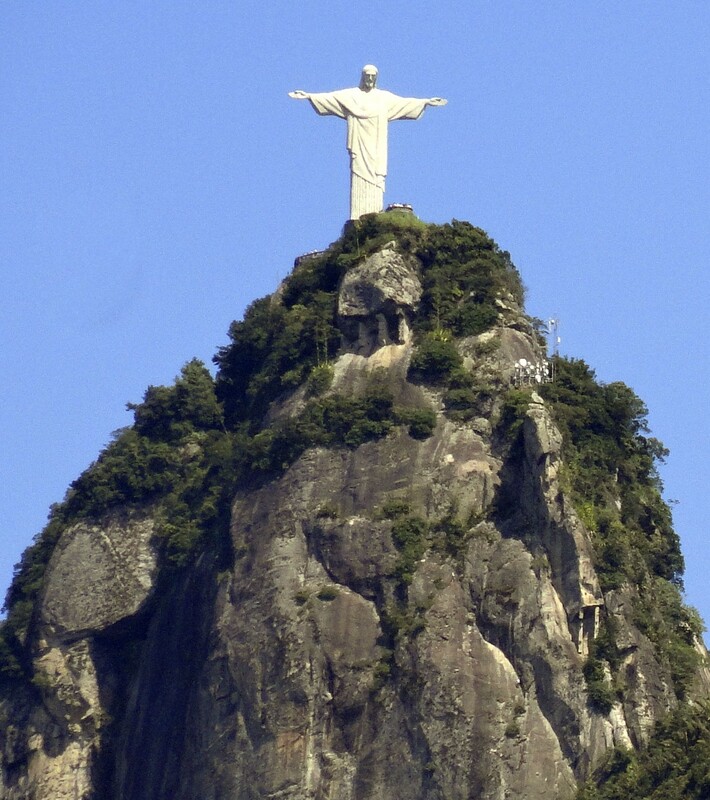 The famous statue of Jesus Christ from Rio de Janeiro, Brazil, named Christ the Redeemer, is not a cross, but looks like one. It is 98 feet high (30 meters). The stretched arms reach 92 feet (28 meters). It can be seen on the top of Mount Corcovado from Rio de Janeiro, south-east of Brazil 31)”Christ the Redeemer“by Lorraine Murray, article from Encyclopædia Britannica. The statue is the symbol of Brazil, the same way the Eiffel Tower is a symbol of France. The luxurious hotel Burj Al Arab, which you must have heard, was designed to mimic a sailing ship. Some say that something more than that can be seen, though, and point at a cross through which, apparently, the architect Tom Wright would have wanted to send a Christian message in a Muslim country. 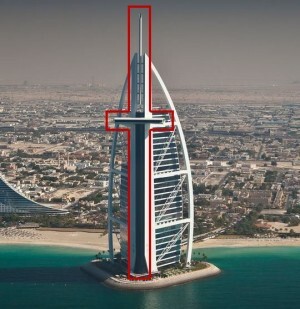 The locals accusing the British man of hidden intentions noticed that in 2004 the image of the building was eliminated from the car license plates of Dubai. The authorities have not given any explanation, and neither had the architect, so that the whole story is shrouded in mystery. It is up to you to decide whether the conspiracy theory is real or simply an accidental resemblance. I believe these are the Crosses that leave the passer-by in awe. Built from either immeasurable faith or a huge vanity, from grandiose ideals or the policy of the moment, whether they are true works of art or not that good-looking at all, you surely can’t remain oblivious at a view of a Cross – especially when it has tens of meters above your head. The Cross if the most powerful symbol in the history of mankind. And not without reason. Ana Daogaru found the pleasure of writing in her childhood and made it her passion. We’ll keep an eye on info about huge crosses! Please check out the cross on Mt. Samat National Shrine in Pilar, Bataan, the Philippines. 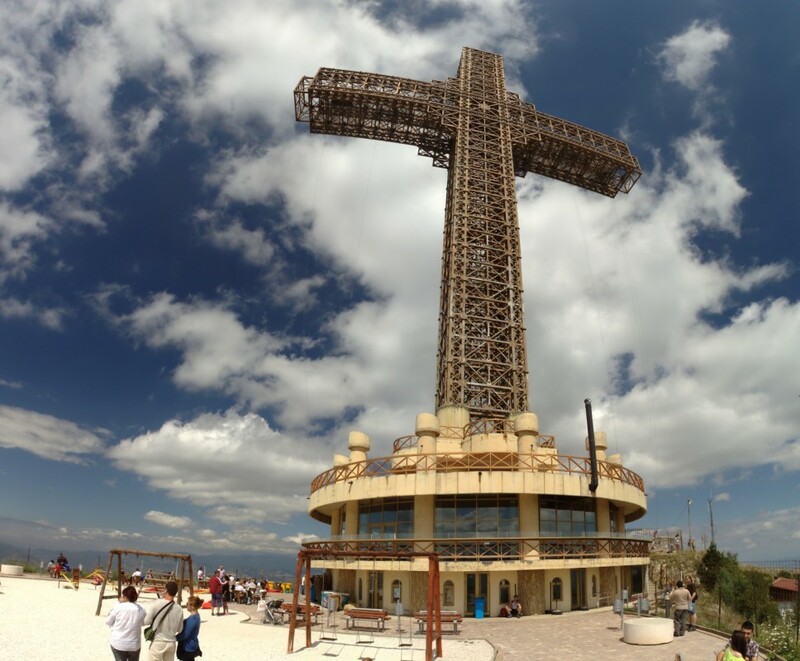 The cross is 92 meters (302 feet) tall and 27 meters (90 feet) wide, making it the world’s second largest cross. It stands on Mt. Samat, which is 555 meters above sea level at its peak. On a clear day, the cross can be seen from Metro Manila, 50 kilometers across Manila Bay. Wow, this is a huge cross! Thank you for the info! This is a very interesting cross. It’s not clear to me how was made. I can’t find good pictures of it. What about Chillan’s cathedral’s cross? 39 meters. Thank you. A great cross near a very interesting cathedral. There is a 120-foot cross in Batesville, MS.
What about a cross located in Mekell & Adi-grat Cities,Tigray Region, Ethiopia, East Africa. Starting with the one erected by the Spanish Hitler all crosses here make me want to throw up. Whats wrong with them,some are kinda boring but there are some interesting ones here.